Have we finally captured 'Voldemort / Krispy'? 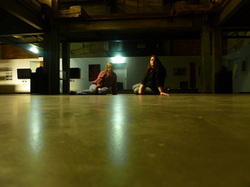 We had a great Ghost Tour at the Casula Powerhouse on Saturday 20 July 2013. As is the norm, we arrived early to set up. While Nic, Sascha and I were setting up the rest of the venue, Adam, Glen and Ryan were in the theatre, connecting the projector and laptop etc. All three boys were on the stage, nobody else was in the theatre. 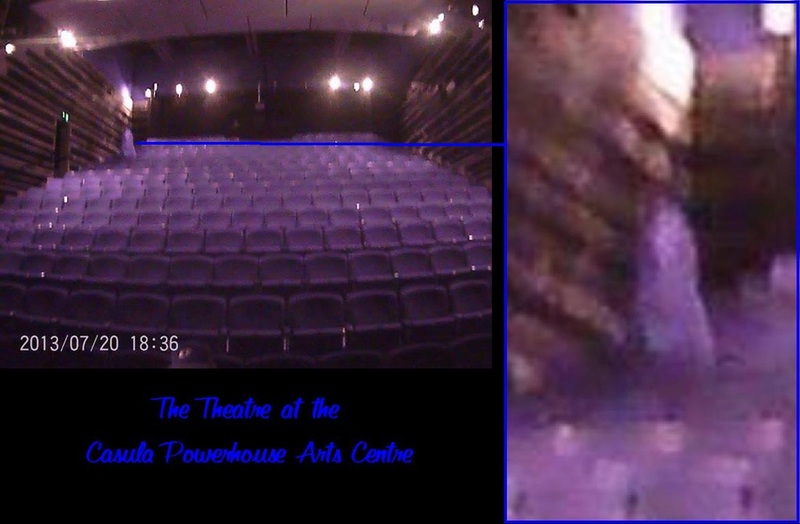 Adam picked up his infrared camera and took a photo of the whole theatre. 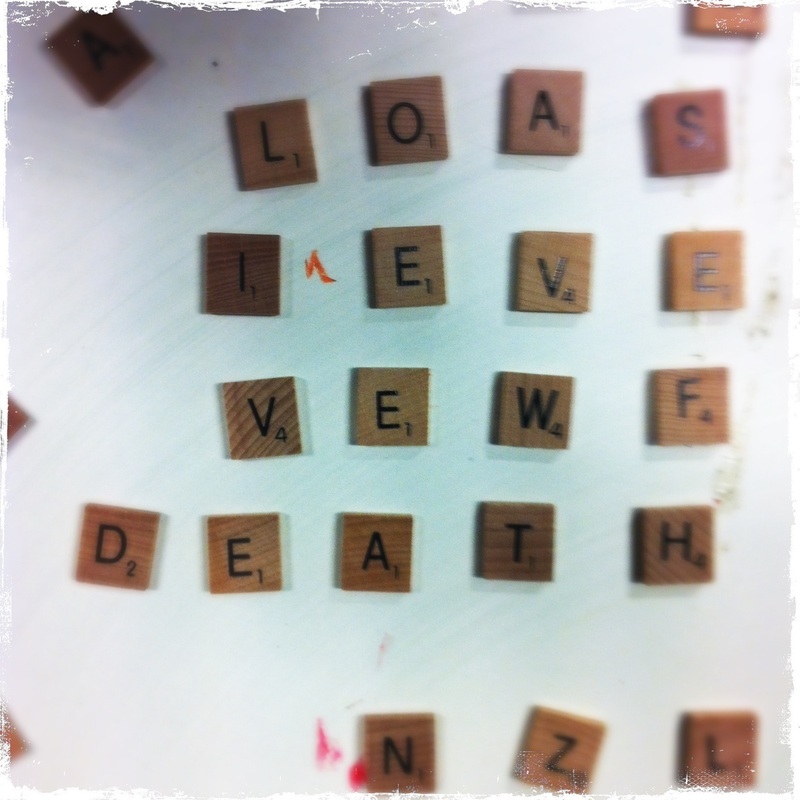 He didn't pay much attention to it at the time, just snapped the picture and went about with his work. 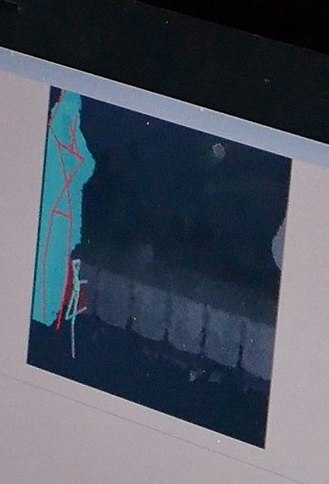 When he got home, and uploaded his photo's on to his computer, this is what he found... we're not sure what this 'figure' is... all we know is that it is not one of us, and we were the only people in the centre at the time. Could this be 'Voldemort / Krispy', the most often seen/sensed spirit in the theatre? Perhaps! 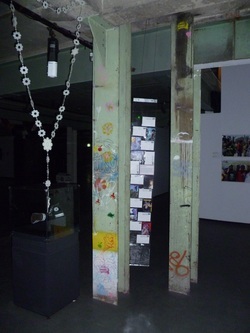 On our tour, we speak of the plastic post card display, which was moving vigorously. Nic and Peet heard a repeat banging sound coming from the ground floor, so we went down to investigate (with only a trusty digital camera in our hands) to find this display going absolutely haywire! The weirdest thing? See the plastic rosary beads next to it? Well they were made of a thin plastic like material, and they were not moving at all! We also speak of the flash we found on video, in the foyer of the centre. This was a very strange anomaly and we cannot explain it. Strange face which appears to be BEHIND the mesh. Click on image to see a larger view. This photograph was forwarded to us by someone who attended our tour on 21 November, 2012. Note the strange face in the red circle. 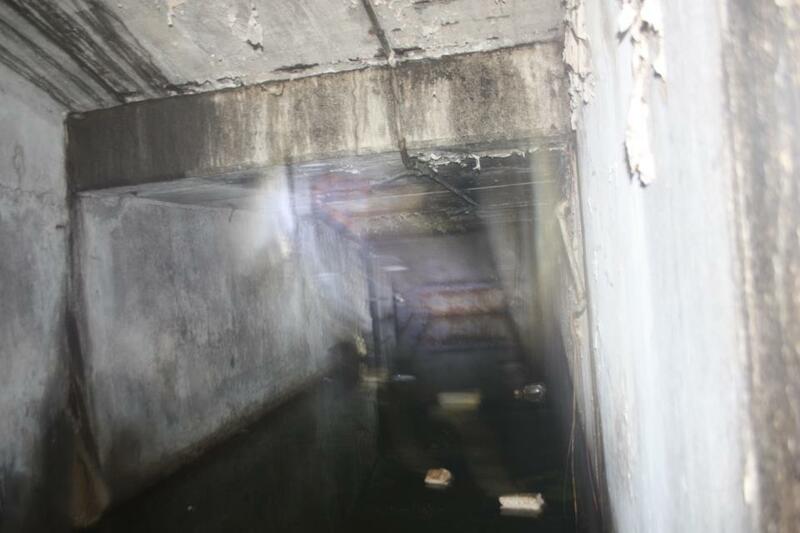 An apparition? Or simply pareidolia? Could be either, but it's still interesting. Is the little girl in the residence? 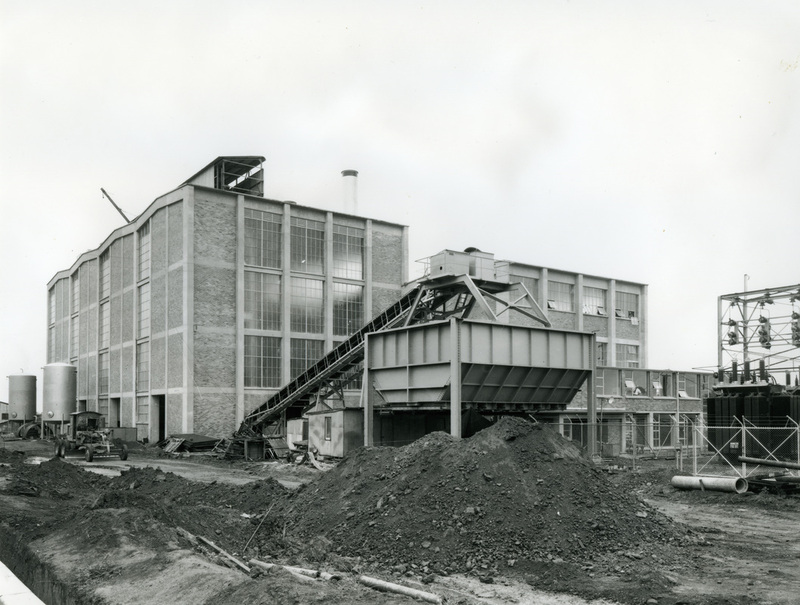 Here is a historical photo dated 1953 of the Powerhouse in it's days as Liverpool Power Station. 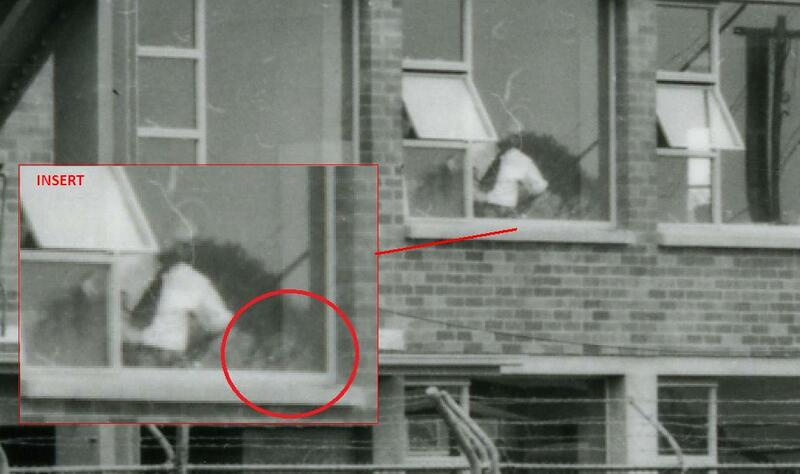 When you zoom in on the window of (what is now the residency) an office, is that a little girl standing next to the man, peering out? 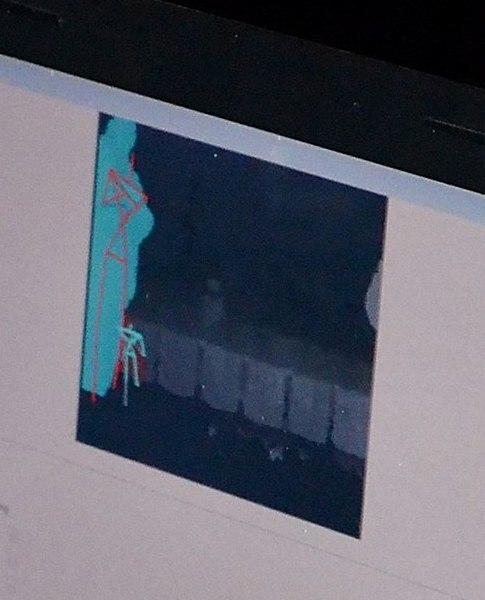 We have had little figures appear quite a few times during investigation nights, when the Xbox Kinnect is being used. 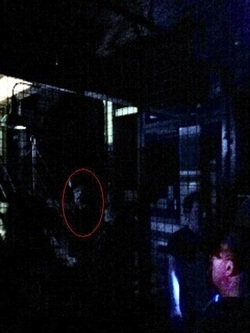 Here is one example of a 'little figure' appearing near a guest. Here are a series of photographs taken at the beginning of 2012. 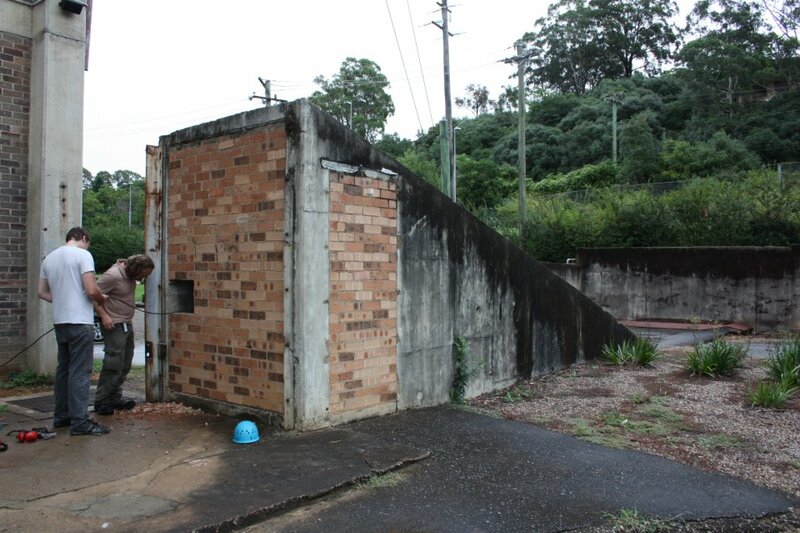 On the outside of the centre, there is a bricked up tunnel. 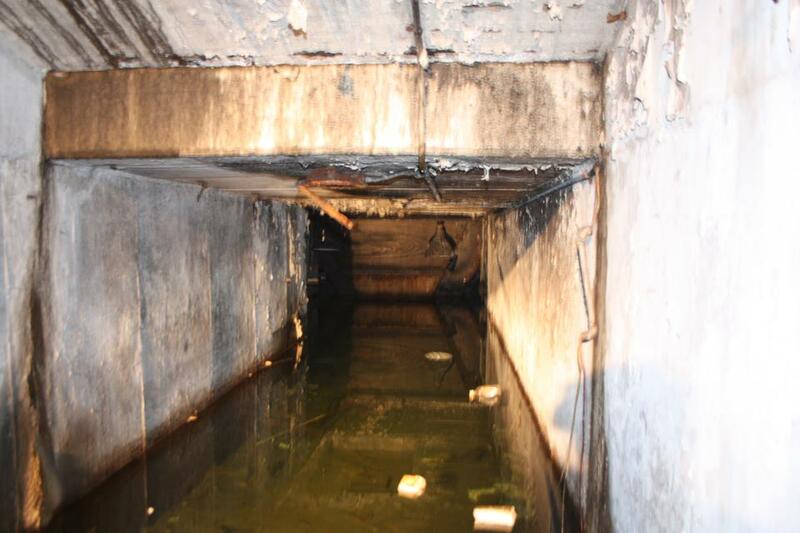 This tunnel leads under the railway line, and for obvious reasons, is no longer in use. The staff decided to break into the tunnel and have a look to see what was in there. They stuck a camera inside and took a few photos. The results are brilliant! If you have joined us on a tour, and have a photo of interest, please feel free to send it to us at a.p.p.i@live.com.au and we may even include it here!